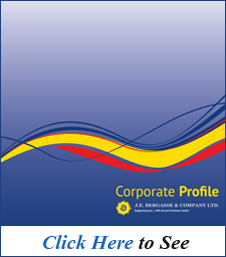 About Us | J. E. Bergasse & Company Ltd.
108 years of service has seen J.E. Bergasse & Company Ltd. move from dry goods retail and food, alcohol and tobacco, to insurance, office supplies and high technology. 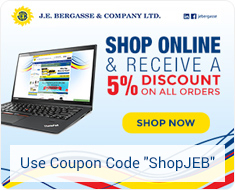 Like many businesses on beautiful Saint Lucia, J.E Bergasse & Company Ltd. is primarily family-owned and operated. It was founded in 1906 by Joseph Edgar Bergasse after whom the company is named. Early operations were focused on dry goods trading from a small retail storefront on the ground floor of the family home on Brazil Street in the Capital City, Castries. Needless to say that what he started back then bears little resemblance to our company today. Joseph (then in his seventies) sent his youngest son, Peter, to the United Kingdom to study insurance. Where better to further on-the-job training than with the Guardian Royal Exchange Assurance Company, a bastion of professionalism and world-class standards. Throughout the 1950s as J.E Bergass & Company Ltd. grew, Peter joined on at home to assist his father. On Peter’s return to Saint Lucia, the Company became involved with the insurance industry, an industry it still operates as one of the leading players in the Saint Lucia market. In 1959 Hollis Bristol, our current Chairman, joined the Company and for the next fifteen years J.E Bergase enjoyed tremendous growth and prosperity trading in everything from insurance to food, alcohol and tobacco. However, the mid-1980s through the mid-1990s were challenging years for the Company, made worse by the untimely death in July 1995 of the visionary Chairman, Peter Anthony Bergasse. Anthony Bergasse, Managing Director, J.E. Bergasse & Company Ltd. proudly shares the story of the family business in the July/ August 2017 issue of the Business Focus. 1997 was a watershed year for J.E. Bergasse, as the Company set in motion its plans for the new millennium and beyond. With the advent of the PC and the digital technology explosion that came about as a result, the Company embraced the new technology and the opportunities that it felt would arise. J.E. Bergasse began to refocus on its customers and to re-define its core business, streamlining its operations to become more competitive and provide world-class service and support. It embarked on a strategic change from a distribution business to one specializing in insurance and technology services. This move helped J.E. 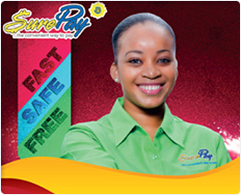 Bergasse evolve into one of the top service providers in St. Lucia. 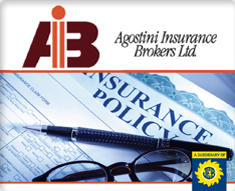 In April 1992 the Company entered into a joint venture with Agostini Insurance Brokers, the leading insurance Brokerage firm in Trinidad and Tobago, to form Agostini Insurance Brokers (St. Lucia) Ltd. Insurance Broking added a new dimension to our insurance services. It allowed us to focus on the best interests of the customer by utilizing the professional expertise that exists within the company to source the best insurance products for the particular client and to negotiate the most competitive rates for the coverage needed. Our services extend from employee benefits, to marine, and all classes of general insurance, private and commercial. As part of our ongoing plan for improved delivery of our services, J.E. 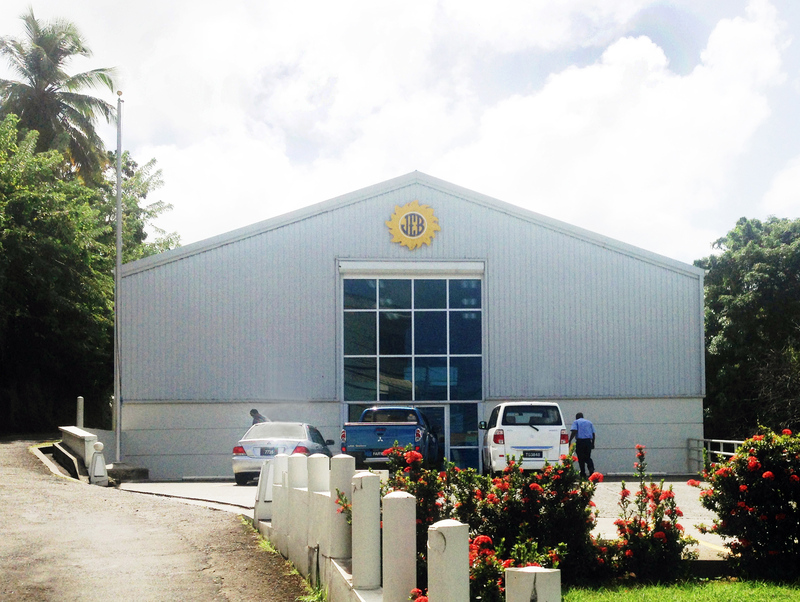 Bergasse moved from its historical location on Brazil Street in Castries to its new premises at Vide Bouteille in February 2002. These new premises integrate all of the Company’s business units—Insurance, Technology, and Document Centre services—into a more spacious, productive, and customer friendly facility. To service the needs of our clients within the downtown core of Casties, we opened a satellite Document Centre in the old FedEx offices on Bourbon Street, which coincided with a move to new premises. 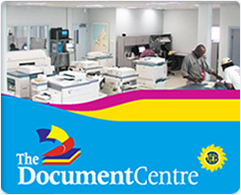 In addition to the services that our clients have come to expect, the new Document Centre in Casties also provides Internet Café services, as well as being an authorized FedEx shipment center. In March 2004, we merged our United Insurance Agency division portfolio with that of Barnards Insurance to create United Insurance Agents (Saint Lucia) Ltd., a separate legal entity and a subsidiary of J.E. Bergasse & Company, Ltd. offering general and all classes of commercial and private risk insurance. 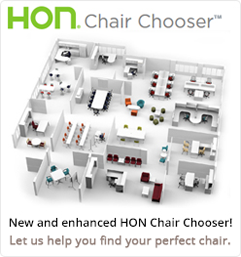 Our human resources are unquestionably our greatest assets. The continuing development of our team in terms of ongoing training, deployment and development redound to our ability to deliver consistent, successful solutions to our customers. Viewed in retrospect, it becomes clear that the changes we have made in the Company are as a result of careful forward planning and a well-orchestrated execution of those plans. J.E. Bergasse and Company Ltd. has become a “single source provider” of technology and office products for today’s modern technological workplace. As the old saying goes: “There is nothing so powerful as an idea whose time has come.” The idea was to be a “single source provider” and the time was right…right now! The key function of J.E. Bergasse as a business enterprise goes beyond supplying technology and products to clients. The core business is embracing, understanding, and providing clients with enabling technologies and products that facilitate greater efficiencies in both the public and private sectors. This is achieved through the employment of leading edge products, technologies, and services that clients need to manage their work more efficiently and effectively. 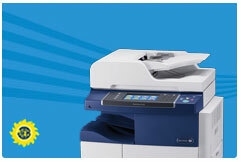 To this end, the Company represents leading names in technology including: Xerox, IBM, Lenovo, Lexmark, and RISO. In 2007 the Company launched its Office Supplies and Stationery Division creating a complete one stop source for our customers and their business needs. In 2012 a B2B e-Commerce service was introduced enabling customers to order products 24-hours a day, seven days a week from the convenience of their desks. B2B allows customers to cut down on paper and speed up daily office routines which in turn give them more time to focus on their core business. J.E. Bergasse & Company Ltd. has consistently sought to innovate and complement its range of products and services to suit the needs of our customers and we will continue to do so.